Is your content, punctuation and keywords not grabbing your clients attention? 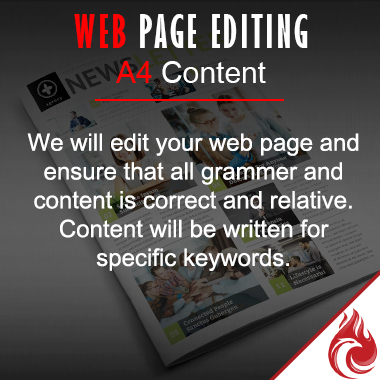 We will write edit your web page content for you, targeting your requested keywords. The content will fill an A4 page, with 1.5 line spacing and in Arial 11 pts.